One of the most talked about miniseries of the year is coming to LIGHTBOX from April 4—and it will have you guessing until the very end. 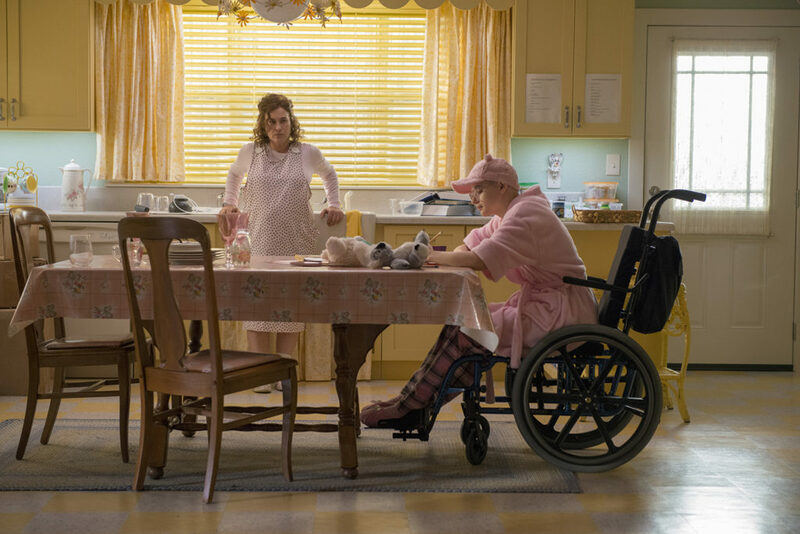 The Act is a gripping eight-part series based on the toxic relationship between controlling mother Dee Dee Blanchard and her frail teenager Gypsy Blanchard. Those names might ring a bell for a horrifying reason: Dee Dee was found dead in her Missouri home in 2015 and Gypsy was convicted for playing a role in her murder. If you need any more convincing, we’ve rounded up three reasons why The Act will be your next true crime obsession. Oscar winner Patricia Arquette is amazing (as always) as overbearing mother Dee Dee, while The Kissing Booth’s Joey King is almost unrecognisable as wheelchair-bound and ‘chronically ill’ Gypsy. The 19-year-old actress drastically changed her appearance, voice and manner for the role. The stacked cast also includes Chloë Sevigny, AnnaSophia Robb and Calum Worthy. Dee Dee and Gypsy’s story went viral in 2016 after BuzzFeed journalist Michelle Dean published the investigative piece “Dee Dee Wanted Her Daughter To Be Sick, Gypsy Wanted Her Mom Murdered”. Dean now serves as The Act’s co-showrunner, producer, and writer. The series jumps backwards and forwards through time, following the mother and daughter’s move to Missouri in 2007 through to Dee Dee’s death in 2015. “My mom is my best friend. All she wants to do is keep me safe,” Gypsy says in the trailer. Boy was she wrong. While The Act begins with a gripping crime, the most chilling moments in the series are the mother-daughter scenes. Your jaw will hit the floor multiple times per episode, whether it’s over Gypsy’s disturbing feeding routine or her supposedly lethal sugar allergy. Watch The Act on LIGHTBOX in New Zealand from April 4.